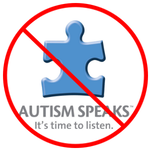 The Autistic community and individuals alike have a hard enough time as it is. We struggle in areas, and we excel in other ways. One thing that is important is to have the unwavering support of everyone around us, including our parents. It was brought to my attention on Twitter that a book existed: “To Siri with Love”, by an author named Judith Newman. In this book she chronicles her neurotypical views about being a Mother to her autistic son Gus. Personally, I wouldn’t be at all comfortable with someone else telling my story. Regardless of what the relationship was. That’s just not okay with me. A lot of things are terribly wrong with this book: The way she refers to an incredibly stellar autism advocate: Amythest Schaber (“Manic Pixie Dream Girl”) is incredibly demeaning and is generally used to describe a character that only exists for the straight male protagonist in video games, etc. There are also mentions of Eugenics where the author states she would like to get power of attorney, when her son is old enough, to have a vasectomy performed on him. Educate and learn. Become an ally. Stand with US not against us. It’s my story to tell and NO ONE ELSE. This post is reflective of my opinions and does not reflect any of the brands or companies I have reviewed/worked with.